Kenny Shiels confirms Billy Berntsson and Patrick Ada have left the club. Kilmarnock manager Kenny Shiels has continued to reshape his squad after allowing two fringe players to leave the club. Swedish defender Billy Berntsson has returned home to join Second Division side Hammarby on a two-and-a-half year deal while Patrick Ada has been released from his contract. This follows the departure of striker Ben Hutchinson to Mansfield Town earlier in the week. Berntsson, 27, was signed by previous Killie boss Mixu Paatelainen last January after a successful trial. However he only made four substitute appearances during his time in Ayrshire. Cameroonian defender Ada was one of Shiels' first signings as boss but he quickly fell out of the first-team picture. 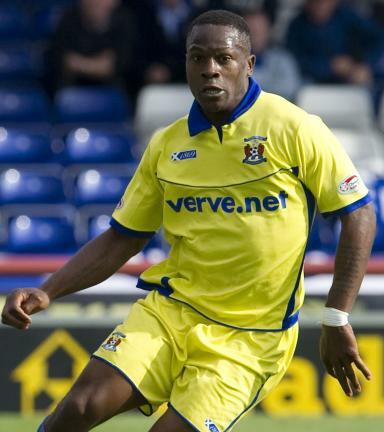 The former Crewe Alexandra defender was signed until 2013 but made only SPL three appearances. His final match for the club came back on August 27 in the 2--1 defeat to Inverness CT. Speaking after Killie's 2-1 home win over St Mirren, Shiels told the BBC: "We've had a couple who have left this week. Billy Berntsson and Pat Ada have all left the club so we're trying to free up something." The Northern Irishman said negotiations with Doncaster had reached an impasse over extending his son Dean's loan spell but Shiels snr added he remained keen to continue talks.